Alexander T. MacDonald | Littler Mendelson P.C. 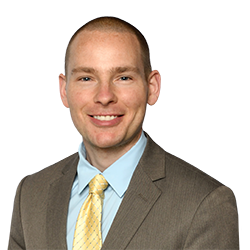 Alexander T. MacDonald counsels clients on labor and employment matters. Prior to joining Littler, Alexander was employed at a national labor and employment firm, where he concentrated on management-side employment litigation. He handled primarily wage and hour claims in federal court, in addition to administrative proceedings before the EEOC and various state agencies. Previously, he was a labor and employment attorney in the Office of the General Counsel for the U.S. Postal Service. His practice consisted of litigation and policy work. He was appointed as a special U.S. attorney to defend the agency in federal court. Alexander represented the agency in administrative proceedings before the EEOC and NLRB, and briefed multiple NLRB appeals, both in the federal courts of appeals and the NLRB itself. Additionally, he served as chief counsel of employment law. He was a law clerk to the senior judges in the District of Columbia Court of Appeals, gaining valuable experience drafting bench memos and proposed opinions, as well as conducting research to support the judges. Alexander, a U.S. Air Force veteran, is a frequently published author and editor. In law school, he graduated first in his class.